Sixty years ago, during the summer of 1945, America faced an ongoing battle for freedom overseas as well as the annual fight against forest fires in the Mountain West. Fire officials knew, however, that lightning was not the only threat to the woods—the Japanese had been launching incendiary devices, or “balloon bombs,” on the trade winds since late 1944, aimed at the forests of the West. 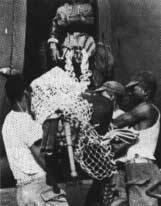 And America’s first African-American paratroopers, the 555th Parachute Infantry Battalion, nicknamed the “Triple Nickles,” would pull double duty that summer as both soldiers and aerial firefighters. On the 60th anniversary of their firefighting mission and the end of World War II, I caught up with two members of the Triple Nickles and asked them about fighting fires in 1945. From their homes in Florida, 84-year-old Walter Morris and 82-year-old Jordon “J.J.” Corbett stepped back in time for a while to share their experiences. The 555th had to train for two months on a variety of tasks inherent to smokejumper operations, along with one task not practiced by today’s jumpers: demolition of balloon bombs. As the New Year arrived, two young paratroopers from the 555th, Walter Morris of Waynesboro, Ga., and Jordon “J.J.” Corbett of Bartow, Fla., were training to fight the Nazis and Japanese as members of an elite aerial attack unit. At the same time, U.S. Forest Service (USFS) and military officials feared more balloon bomb explosions and potentially catastrophic fires at the height of the fire season. An estimated 9,000 balloon bombs were launched, but initially, they had little effect during the winter of 1944–45. The one exception: An Oregon woman and her five children were killed by an exploding balloon bomb, which consisted of a 35-foot hydrogen-filled balloon with a ballast system and a bomb beneath. It exploded upon striking the ground, once the hydrogen had dissipated. One bomb traveled as far east as Kalispell, Mont. With smokejumper staffing reduced because of the war, the USFS requested assistance from the U.S. Army, which, just a few years earlier, had developed its paratrooper program and modeled it after the USFS’s new smokejumper operations. The Army assigned the aerial firefighting task to the soldiers of the 555th. The plan for dealing with the forest fire threat was named “Operation Firefly.” In early May, 160 paratroopers and eight officers traveled to Pendleton, Ore., to establish a new smokejumper base. Eventually, the unit split into two groups, with the second staffing a base in Chico, Calif. Over the next six months, the Triple Nickles jumped 36 different fires with more than 1,200 individual parachute jumps. Before they performed their first jump, the 555th had to train for two months on a variety of new tasks inherent to smokejumper operations, along with one task not practiced by today’s jumpers: demolition of balloon bombs. “The Forest Service firefighters and rangers were so helpful to us, teaching us how to deal with forest fires and jumping in the mountains and timber,” Morris recalls. The Triple Nickle Smokejumpers also received training from one of the pioneers of smokejumping, Frank Derry, who showed them how to use the parachute he had designed for jumping in heavily forested areas. 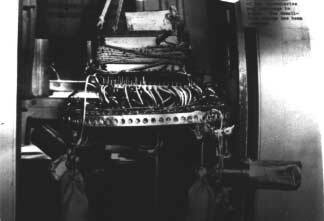 “Frank was also very helpful and introduced the T-7 parachute, which had steering ability thanks to a panel being removed,” Morris says. Derry’s chute allowed jumpers to turn 360 degrees, choose landing sites and avoid hazards, such as hanging up in a tall tree. Morris’ first fire jump occurred in Washington. “We jumped a very large fire on Mt. Baker,” he explains. “I was a second lieutenant in charge of 24 enlisted men, and it was very windy.” The area winds wreaked havoc on the Triple Nickle jumpers as well as their cargo chutes. “We landed about a mile from the fire and 25 miles from the nearest road. Some of us went into trees, [but] I found a good clearing and landed safely. “Our cargo chutes blew very far away and hung up with our shovels and gear,” Morris continues. “But the good Lord provided rain for us later that night. It rained all night and part of the next day.” The jumpers’ tents and camp gear were also missing with the cargo loads, which made for a long night. A leather helmet with a wire facemask and a sheepskin suit protected Corbett and the other jumpers, but tall timber made for dangerous situations after tree landings. “Our first few jumps showed us that the 50' let-down rope we’d been issued was inadequate,” Corbett explains. “Sometimes you thought you were closer to the ground in that mountain timber. That’s what we think happened when we lost our one man.” Malvin L. Brown, a medic, died following a fire jump on the Siskiyou National Forest near Roseberg, Ore., on Aug. 6, 1945. 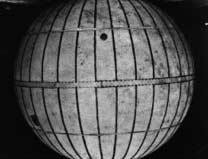 Below: Balloon portion of a Japanese balloon bomb. to Northwest forests during 1944 and 1945. Corbett and his crew used their demolition training in addition to their firefighting skills on one blaze. “We found a bomb that had not detonated—it was still hanging in the brush on its balloon. So we were trained in dealing [with] and disposing of the bombs.” Although the majority of fires they handled were, like today, lightning-caused, Corbett says officials told them at least two blazes had ignited from balloon-bomb strikes. Following the war, Morris became a bricklayer in New York City, and despite two knee replacements, he goes to the gym three times a week. Corbett went on to graduate from the University of North Carolina and made a 30-year career teaching math in his hometown as well as coaching football and track and field. He currently serves as a director of the Citrus and Chemical Bank of Polk County. 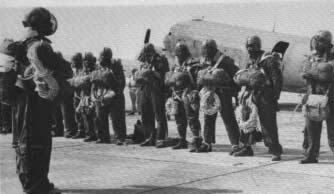 And on the 60th anniversary of the Triple Nickles Smokejumper assignment, it seems fitting to thank these men for a job well done and for serving their country. For more information on the Triple Nickles, visit the 555th Parachute Infantry Regiment Association Web site at www.triplenickles.com or by calling Association President Joe Murchison at 813/886-7845. Above: A group of Triple Nickle loadmasters heft fire gear into an Army Air Corps C-47 at the Pendleton, Ore., smokejumper base. This article originally ran in Wildland Firefighter magazine, June 2005.